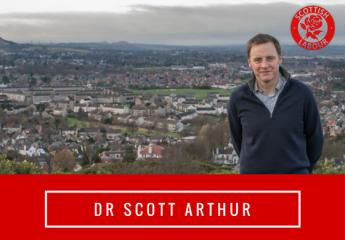 It is not too late to seek improvements to the Edinburgh Region City Deal. Top nationalist Keith Brown signs the deal that meant the already planned Sheriffhall Roundabout upgrade could be used to artificially inflate the Edinburgh City Region Deal. The Edinburgh City Region Deal is hugely positive and we should welcome it. Equally, I welcome the offer Keith Brown MSP, the SNP’s Economy Secretary, has made to the Capital to suggest improvements (report, 10/01/18). When considering this offer, it is important to think about what Edinburgh needs in terms of infrastructure. It needs housing and we need to support the wellbeing of all our Capital’s residents. It was hoped that the City Region Deal would be focussed on housing and be worth over £1.5b (Glasgow got £1.13b), instead the SNP and Tory Governments each gave our Capital City £300m with the biggest single item being a £120m roundabout. Whilst £600m over 15 years is very welcome, it has to be placed within the context of the year-on-year cuts inflicted on Edinburgh and its people by the SNP and Tory Governments. Furthermore, back in May we heard, without a whimper of opposition from Edinburgh SNP, that the Scottish Government had decided that the City Deal would not fund the tram extension. It did, however, apparently find £120m to upgrade the Sheriffhall Roundabout on the City Bypass. This neither falls within the remit of the region’s councils nor, I understand, was it part of the City Region Deal bid. Indeed, the SNP Government is arguably short-changing Edinburgh by making the already planned upgrade of Sheriffhall Roundabout part of the deal simply to inflate its finances. There is a conspiracy of silence about this outrage amongst Edinburgh’s Tories and Nationalists as both parties are architects of the deal. However, Keith Brown’s offer is a chance to correct this brazen attempt to short-change our Capital. We should let Transport Scotland continue with its long established plan to upgrade Sheriffhall if it wishes, but we should end the illusion that this is part of the City Region Deal. Instead, we should seek funding to transform Edinburgh and the life chances of its residents. Firstly, this should be done by industrialising the construction of high quality, sustainable and truly affordable housing for rent in Edinburgh. What’s more, these homes should be built by apprentices trained in Edinburgh. Secondly, we need to provide a step change in support for active and public transport so people can lead more active lives and so, in the longer term, take some of the pressure of our NHS. Surely that would be a better legacy for this generation to leave the next than a £120m roundabout? ← People that disrespect Parkrun, park users or the local community are simply not welcome at Parkrun.